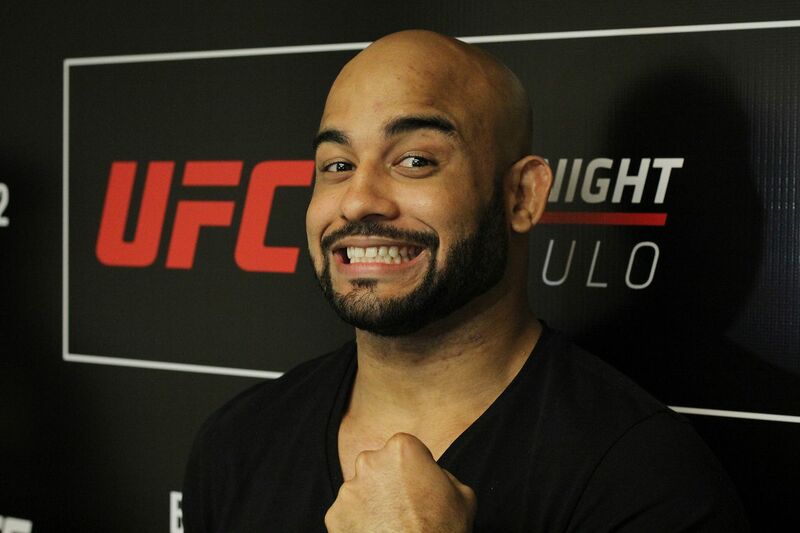 RIO DE JANEIRO — Warlley Alves suffered his first loss as a professional MMA fighter in May, and it hurt. The Brazilian welterweight prospect, who lost a decision to Bryan Barberena at UFC 198 in Curitiba, is scheduled to return to the cage on Nov. 19 against Kamaru Usman, and not being undefeated anymore as a mixed martial artist changed a few things in him. “I never dealt well with losses,” Alves said during a UFC Fight Night 100 media day in Rio de Janeiro. “I always had a philosophy that a loss is similar to an accident. You leave home for work and get in a car accident or get hit by a car, that’s something you didn’t expect. I didn’t expect losing the way I lost. I wasn’t knocked out or submitted, but Barberena earned it. Right after the UFC 198 fight, Alves underwent surgery to fix a deviated septum, and already felt the difference in training. Like Alves, Usman — or “Chevrolet” Kamaru, as Alves jokes — is a welterweight who impressed on UFC’s reality show The Ultimate Fighter veteran, but the Brazilian is not a fan of his fighting style.